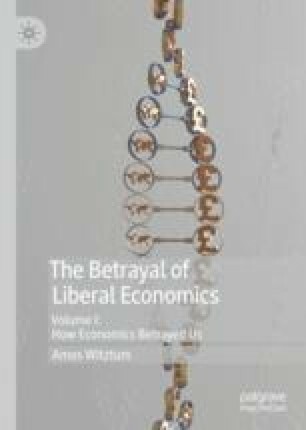 Synopsis : If the promise of economics’ paradigmatic core is neither logically true nor relevant, could there be another reason why we may still wish to promote and defend the proliferation of the idea of competitive decentralisation (i.e. markets)? If markets do not really solve the economic problem and are not ethically neutral but they provide people with, say, freedom and justice, then pursuing this form of economic organisation could still be justified. Moreover, if this were the case, the important association of competitive decentralisation with the basic expression of modern liberalism in the form of civic society can also be maintained.